Joseph Babineaux is honest, personable, patient, prompt, professional and excellent. He strategized the sale of my house according to my needs and situation. He then successfully implemented his strategy. He is the best in taking care of the details that would lead any buyer or seller to the desired outcome. Joseph is wonderful to work with. He is patient and not pushy like some Realtors, but he knows what he is doing and keeps everything running smoothly and on schedule. He made the sale of our home and the purchase of our new home as easy as it could possibly be. He listened well to our needs and concerns, and was not afraid to share his opinions when needed, and we really appreciated that during our transaction. He is absolutely fantastic and we would recommend him without hesitation to anyone who needs a real estate professional to take good care of them. 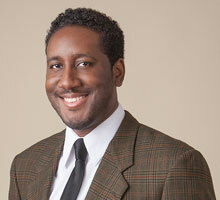 I would highly recommend Joseph Babineaux to anyone buying, selling or even leasing a home. He found us a house to rent when we first relocated to California, assisted us in finding a home to purchase, and then sold that home two years later when my husband changed jobs and we had to leave California. He handled everything right down to the inspections that we were unable to be present for. Even though we were 2,500 miles away, we knew our home was in capable hands. The photographs he listed for our property were so much better than most of the photos you normally see in listings. He is professional and trustworthy and we had an offer on our house within two days of listing it on the market. After dealing with other Realtors here in Georgia, we can really see how great of a Realtor he is and how much work he put into assisting us. He set the bar high for our expectations of a Realtor. Joseph worked very hard to help us find a home that we liked and was within our budget. He sent us many listings of houses to help us find the right one and went with us to tour each house. Joseph was very quick to respond to any questions or concerns we had and was exceptionally knowledgeable about the home buying process. He did an excellent job negotiating with the seller and guiding us through the whole process of purchasing the home to finally getting keys in our hands. We highly recommend Joseph as your agent! He will provide a great service to help you find your new home. Joseph is extremely professional and knowledgeable. He really listened to what we wanted, and made sure to show us only homes that fit our desired criteria. He was also willing to spend quite a bit of time with our family as we looked at our different options. We felt respected and very well taken care of, and we plan to refer him to others. Joseph Babineaux is a perfect real estate agent. Very knowledgeable, great person, very patient. My home buying experience with him as my agent was considerably the very best. He did the best possible effort to make sure things were done. From day one to the closing of escrow, he was very much on top of the deal. My husband and I started looking for available properties online ourselves, thinking that we would do just as good of a job as a Realtor. Boy were we wrong!!! Once we got a verbal pre-qualification we started calling on available properties. However, the first call we made the Realtor asked if we had our approval and said, “Well, I would need that before I take you looking at properties, call me back once you have it.” We then called another Realtor for a different property, that realtor said, “I can’t show you it this weekend because we are busy.” This exciting moment started to seem a bit stressful. We tried one more time calling a different Realtor. Thankfully we did, because we got Joseph. He was courteous and professional right from the start. When all the other Realtors said No, Joseph said “Yes.” Throughout this whole process we felt like Joseph was on our side from start to finish. He was always available and great with follow-up. We couldn’t have asked for a better Realtor. Thank you Joseph!